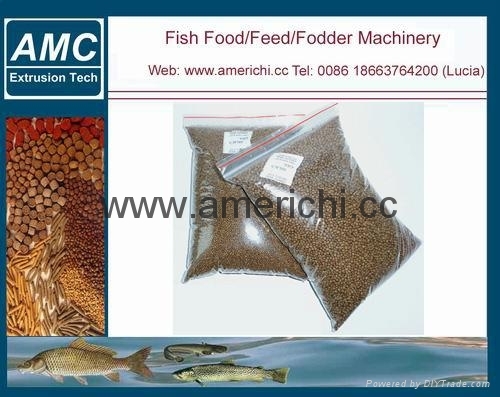 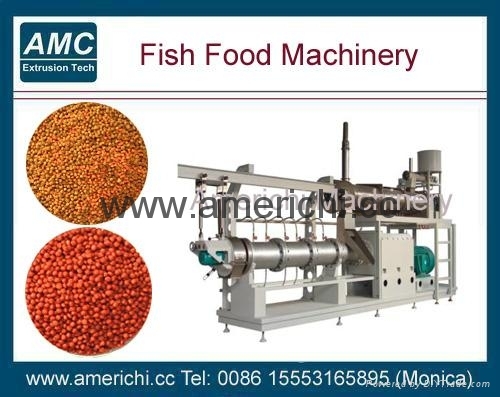 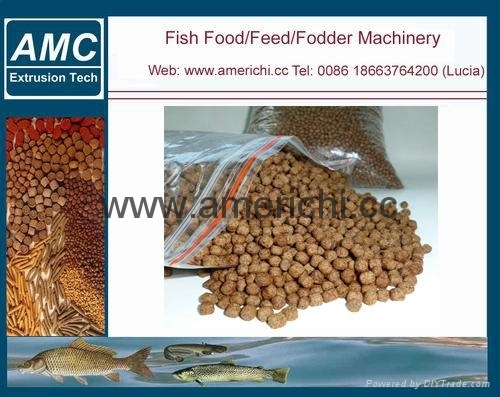 Fish food extruder is used for processing for dogs and cats (pet food), birds, piglets, frogs, sinking and floating aquatic feeds for fish. 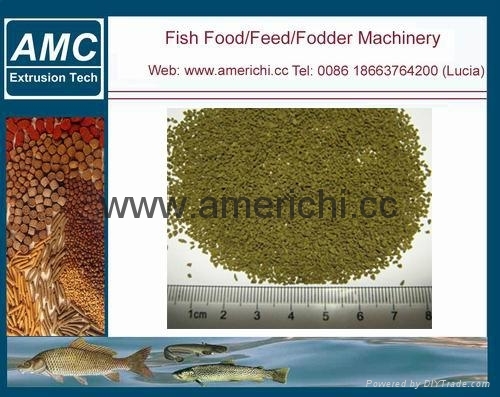 Which is high and new technical program as to catch the developing pet food market. 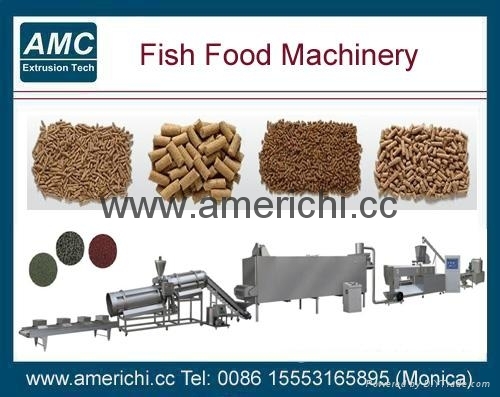 Pet food line mainly use maize, fish powder, meat powder and some food additive as main raw material, through mixing, extruding, roasting, flavoring to get the final puffed pet food.